Just before Valentine's Day, I am inviting, YOU, my loyal readers, to join me in a Pre-Valentine's Movie Date for the exclusive premiere of The Vow by Channing Tatum and Rachel McAdams. Single, Taken and Besotted alike, let's enjoy a few hours of sweet romantic movie that may teach us a thing or two about love. 1. Add ZoyaManila as friend and Like Carmex Philippines Official Facebook page. 2. Share on the your wall the following and tag our FB Pages in the process. "Love's abuzz with Shen's Addiction(tag). She's giving away premiere tickets to movie, The Vow, care of Carmex Philippines(tag) and Zoya Manila (tag)." 3. Add us on twitter, too. 4. Post on comment section below with your FULL NAME, that you've joined the contest and your favorite love quotation! 5. Email proof of liking and following at shensaddiction(at)gmail(dot)com. Include your Full Name, FB account name and Valid E-mail account and Mobile number. Winners will be randomly drawn on February 9, 2012, 11:35. Winners will be notified via e-mail and/or facebook message. *Failure to respond in less than 12 hours allows me to choose another winner. *Must be able to attend the event on Sunday, February 12, 2012! 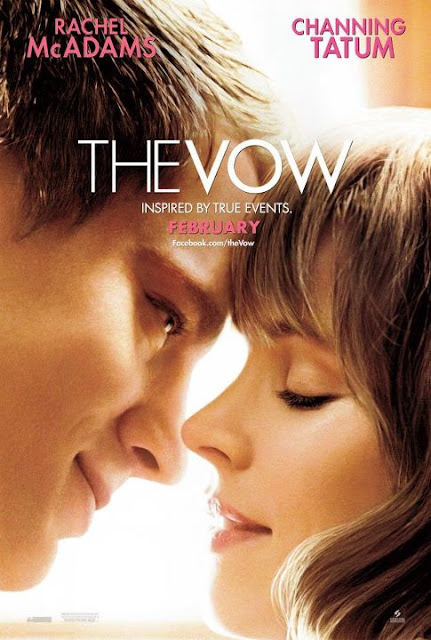 To whet your appetite, here's the movie trailer of The Vow. Joined! (Except Zoya still hasn't approved my request, boo). My favorite quote of all time would have to be the one from the Bible: Love is patient, love is kind. It does not envy, it does not boast, it is not proud. Saw the trailer in the cinema and looks like super heartbreaking and kilig! :) Would love to join but I'll probably be out of Manila for the boyfie's bday. Enjoy, girls! :) Thanks for this, Shen! "Love is patient and kind. Love is not jealous or boastful or proud"
"Distance does to love what wind does to fire, it extinguishes the weak and feeds the strong." Emerald Salazar, joined the contest You know you really love someone when you can't hate them for breaking your heart. Ma Flor Fe Mallorca. Joined! Runaway BrideLook, I guarantee there’ll be tough times. I guarantee that at some time, one or both of us is gonna want to get out of this thing. But I also guarantee that if I don’t ask you to be mine, I’ll regret it for the rest of my life, because I know, in my heart, you’re the only one for me.
" Love reminds you that nothing else matters." "To love is to receive a glimpse of heaven"
I'm not joining 'coz I'm no available on the date of the premiere night but I'll definitely watch this film.